How you start a chapter in your book is critical. It’s your opportunity to keep your reader, or lose them. If they are just browsing your book, it’s your chance to hook them in for the whole book. 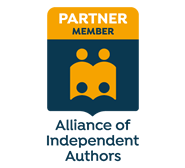 One of our recent clients, to be unnamed, sent me the first draft of their book and 80 percent of the chapters started with the word I. Chapter One. I experienced this. Chapter Three. I was in a meeting. Chapter Four. I saw the trend. Guess what? Your reader only cares about one person and it’s not you. Of course, this book has your story in it and it has your perspective. But you can deliver it in a way that is fun and engaging to read and from the perspective of your reader. And, most importantly you want to start every single chapter off in a way that grabs your reader by their collar and compels them to read on! 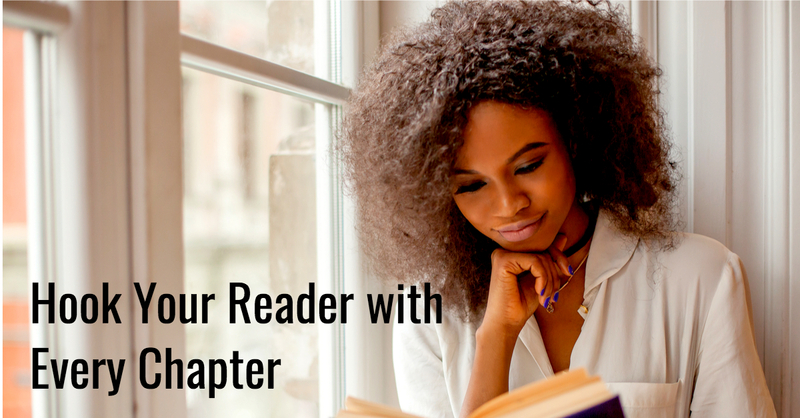 Here are four ideas to start your chapter with words other than I and hook that reader, so they keep reading your book all the way through to the end. Number one. Start in the middle of the action. Looking around the room, I wondered if anybody else noticed that the speaker’s fly was undone. Movies and TV throw you right into the middle of the action. They don’t start with a girl thinking about her date, they start in the middle of the date. There is tension, action, or drama in every opening scene that hooks you in and makes you need to know what comes next. Number two. Start with an unusual point of view. If you’re writing a book about fighting cancer, why not start from the perspective of the cancer cell and what it wants? Maybe start from the perspective of the mutual fund company that decides to charge a front-end loaded fee and how they do it for their benefit to lock in the client and not help the client make a return? Can you tell I’m bitter? Or, possibly you write from the perspective of a child explaining the adult concepts of divorce or financial freedom? It’s a different point of view than what you or your reader might expect. It should make your reader curious. Number three. Shock or surprise the reader with your idea. 93 percent of the people who do this one thing will make three times the money next year. And yet, you probably won’t do this one thing. Stats are ok but if you’re opening up your chapter with a stat you better make it one that will make someone stop in their tracks. It’s better to present your idea and then support it with the surprising data you’ve uncovered. Rather than statistics I like to find interesting facts you may not have thought about and give you the research to back it up later. You should strive to be more like Bill Clinton in your business. No, I’m not talking about the scandal. I’m referring to the amount of emails he sent in his presidency. Any guesses as to how many? He sent two emails in his presidency. Can you believe that? But if you send less email you’ll get less email back. The healthiest place on earth is an island in Japan. Okinawa has more than 450 people over 100 years old living there. They better have some good pension plans. Imagine if your wounds healed right before your eyes like they do for some superheroes. It’s not just in t.v and movies. There’s one animal with crazy fast healing powers. And it’s probably not one you’d ever guess. You want to keep reading that don’t you. And you’re wondering which one it is. I challenge you to open up one or two chapters with something most people will not know. Surprise or shock them. Like the time I came home and my husband Dave had cleaned my bathroom. I was surprised. Number four. Clearly tell them why this chapter’s important. Hit them hard with this declaration or promise that this is the chapter that will make them rich. Happy. Faster. Fitter. Prettier. Smarter. More Popular, more loved, and more admired by their neighbors. Let them know that at the end of this chapter they will be better for it. And that should keep them reading or make them buy the book if they’re just browsing and that’s the paragraph they happen to glance at. Change it up so each chapter has a different approach. Pay attention to what catches your attention in the books you read. How do you like chapters to start? Which animal has super healing powers? It’s the. They have special bacteria that makes wounds heal right before their eyes. Surprising isn’t it? Are You Successful Enough to Write a Book? Fair Use of Copyright Material - What Can You Use in Your Book?